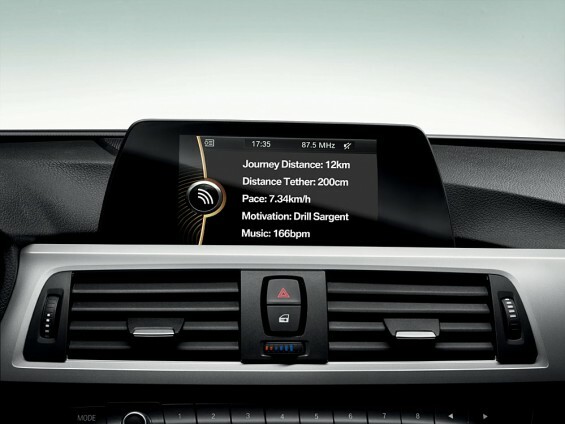 BMW state: 'As an official sponsor of London 2012, BMW has been inspired to develop a new technology helping customers to boost their fitness in the run up to the Games. 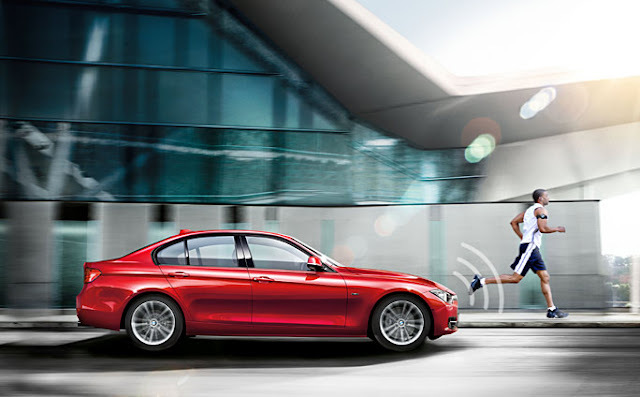 The new driverless Running Coach feature uses a combination of ConnectedDrive technologies and surround view cameras to enable the car to follow the runner, at a safe distance, while pounding the pavement. To help with motivation, integrated exterior speakers play encouraging words while the Lock Out Logistics feature makes sure that any distance set is completed without cheating. 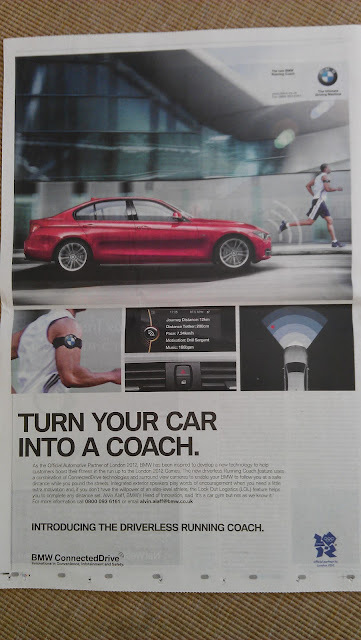 Another great April Fool idea from BMW! 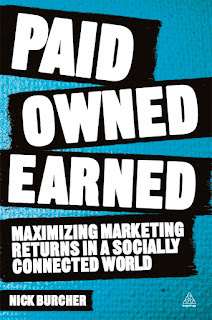 How to drive Earned Media impressions through the development of Owned Media for a specific date or event is one of the key marketing ideas discussed in my new book 'Paid Owned Earned: maximizing marketing returns in a socially connected world.' The book covers a range of topics including how to build a marketing conversation calendar that harnesses days like April Fools Day, Valentines Day, First Day of Summer etc in the chapter on Content Hubs and Communities. How to create content that resonates is then a key part of the following chapter on Content, with case studies and ideas around creating content that people will want to care about and share about. The book then goes on to explore optimal strategies around promoting content and conversation, before looking at how to set objectives and measure success. 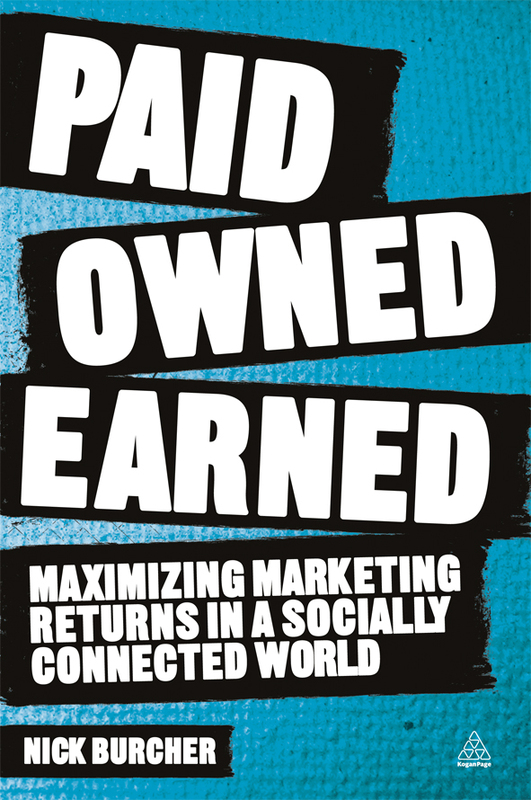 A free sampler for Paid Owned Earned is here: http://www.scribd.com/doc/81930820/Paid-Owned-Earned-by-Nick-Burcher and Paid Owned Earned is on sale worldwide through real world bookshops and online book sellers. BMW April Fools Day 2013 - the BMW P.R.A.M. and for the full range of BMW April Fools creatives 2000-2009 see here. Checkout MailBait.info It's the Best (or worst?) April fools joke ever. It fails to be a good April fools joke. Too unbelievable.